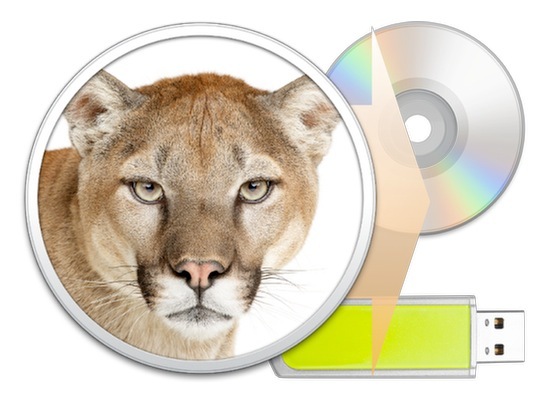 Mountain Lion is out! You can upgrade a Mac right out of the App Store, but some people prefer to make a boot disk. If you’re in that group, rather than making a bootable OS X Mountain Lion installer yourself the old fashioned way, you can do it all in a few clicks with the help of a free app called LionDiskMaker. After you’ve downloaded the OS X Mountain Lion installer from the Mac App Store, launch LionDiskMaker and it will locate the installer app, extract the disk image, and then make the boot disk. It’s about as simple as it gets. For burning a boot DVD you will need a 4.7GB or larger blank DVD and a SuperDrive. For USB install drives or SD cards the drive needs at least 8GB of space available. LionDiskMaker formats the drive you point it at, remember that when you are picking a disk to make bootable for the installer. Making a boot installer is really helpful if you need to install Mountain Lion on multiple Macs and don’t want to re-download it on each Mac from the App Store, or if you want to perform a clean install. If you don’t need the bootable aspect, you can also just copy the Installer app file from the /Applications/ directory to other Macs and it will work to perform the OS X upgrade too. Not sure if Lino is understood on the western side of the Atlantic? What to if Disk Utility gives this error message: “Could not restore – Invalid argument”? Restore from mounted DMG to USB, not from the dmg file itself. I’m having trouble creating the boot disk once I’ve installed Lion Diskmaker. Anyone know why? im getting this message when i try to use it install into my 8gb usb thumb drive. Download Lion from the Mac App Store—but don’t install it yet, because of the disappearing installer issue noted above. If you’re burning to DVD: insert your disk, select the DMG file in the sidebar, and hit “Burn.” Skip to step 6. Aren’t all apps supposed to install themselves after you download them from the mac app store? How can you stop mountain lion from doing this? Mountain Lion does not auto-install. Once downloaded, you are faced with a box on the screen with a button. Do not click it and shut the window down. You will find the Mountain Lion Installer in your Applications folder, just drag a copy or two out to your desktop or folder elsewhere. I’ve already installed Mountain Lion (before reading this article). So now how can I find the right file for making a bootable disk? The installer will delete itself upon completion. If you go the app store again and view your previous purchases, you can download it again. Then follow the steps above. if something happens to our computer and we need to format it, how do we use this bootable ML disc? Will I need to first go back and install 10.6.7 from my dvd, then upgrade to 10.6.8, and only then use this Mountain Lion? Or can I install it on a formatted it drive in the first place?